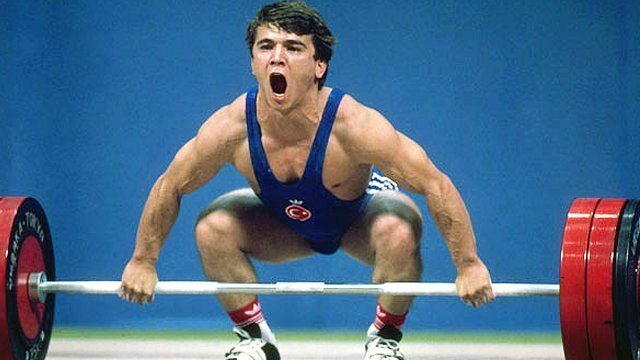 I just found out that the Pocket Hercules (Naim Süleymanoğlu) passed away 3 months ago at age 50. I know we have some weightlifters here and have had some previous threads on weightlifting, so thought I'd post this. *Second of only seven lifters to date to clean and jerk three times his body weight. *He is the only weightlifter to date to clean and jerk 10 kilos more than triple his bodyweight. He may have even won more medals except that his native Bulgaria joined the USSR in boycotting the 1984 Olympics. He later defected to Turkey. Yep, I read the news when he died. Sad, apparently he became an alcoholic after he retired. Sad news, I hadn't heard. A legend of the sport. In a past life (metaphorically speaking) I coached weightlifting for a while, don't keep up with the news anymore though. He suffered from cirrhosis of the liver for a long time. In 2009 he was in hospital for nearly three months. On 25 September 2017 he was admitted to a hospital due to the liver failure On 6 October a liver transplantation was made when a liver donor was found. On 11 November he had surgery due to a hemorrhage in the brain and a subsequent edema. He died on 18 November 2017.